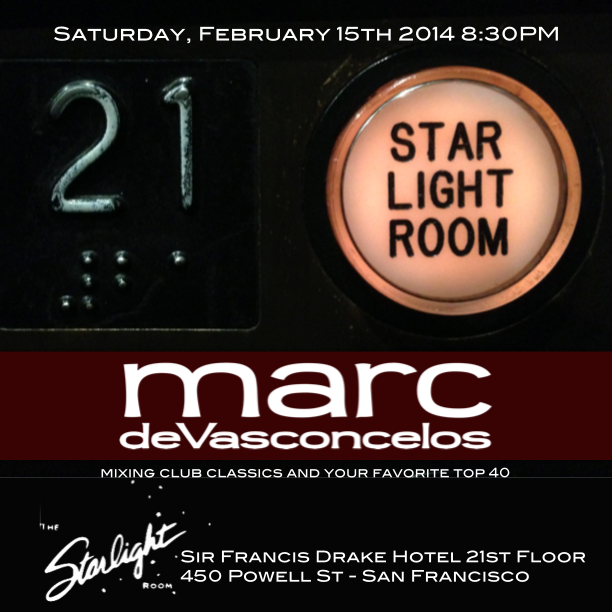 The Starlight Room mixes old-school glamour with present day pizzazz for the ultimate San Francisco experience 21 stories above the Sir Francis Drake Hotel. 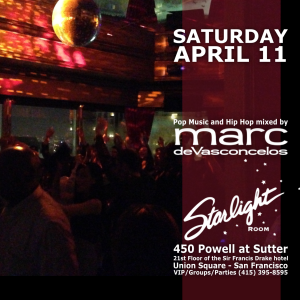 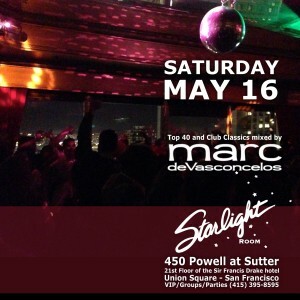 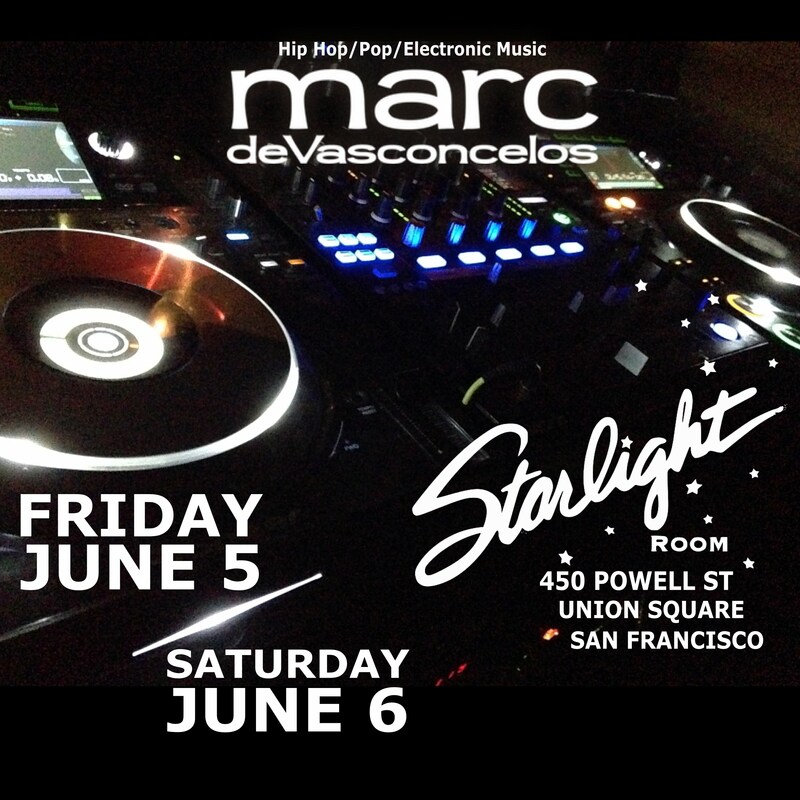 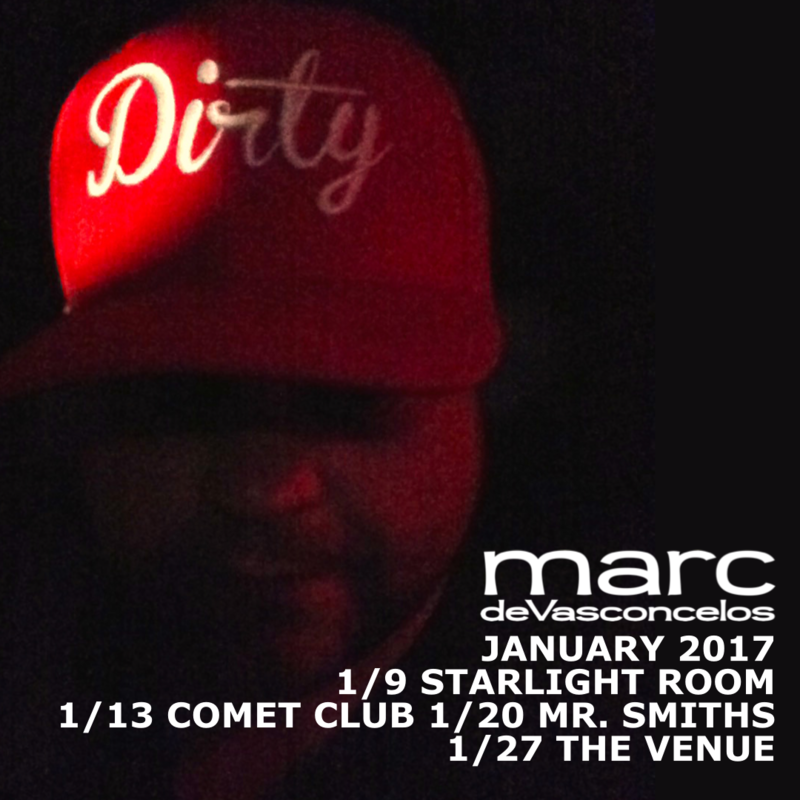 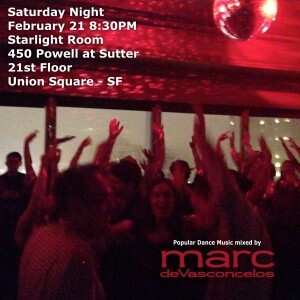 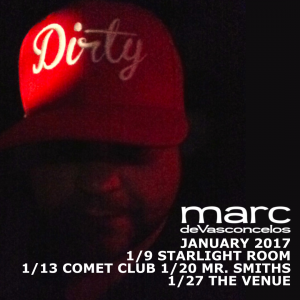 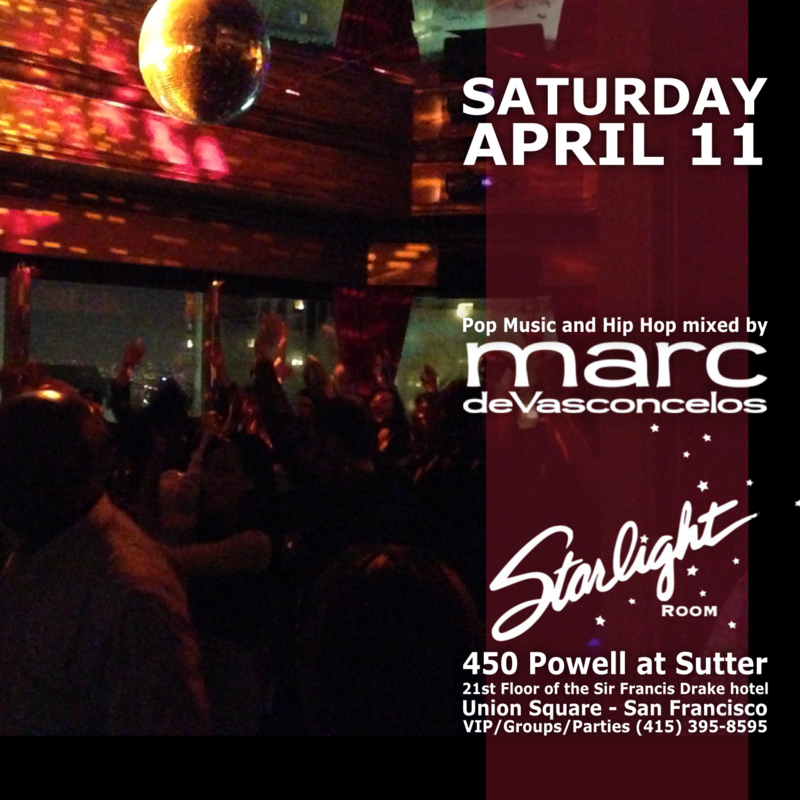 Saturday, February 15th I will be DJing again at Starlight Room! 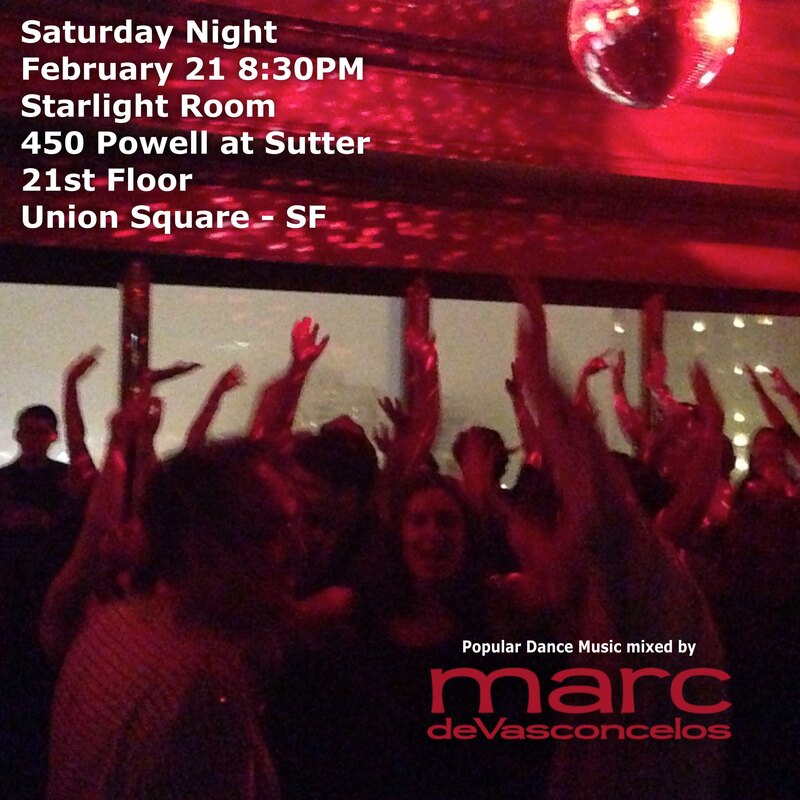 The view of Union Square and San Francisco is breathtaking as we party the night away from the 21st floor of the Sir Francis Drake Hotel. 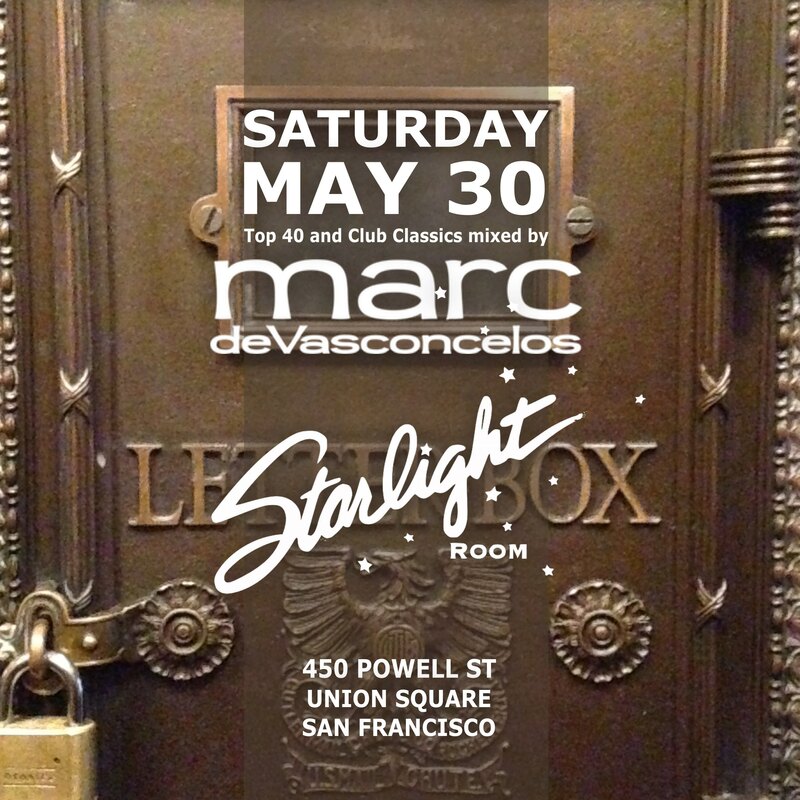 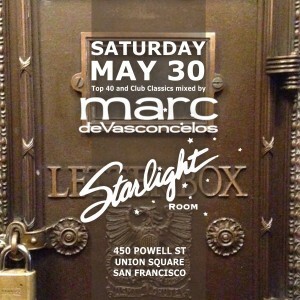 I mix Club Classics and current Top 40 all night! 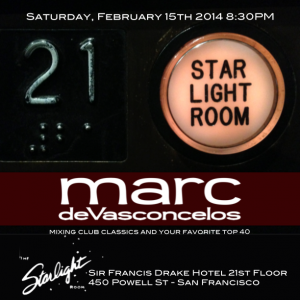 If you haven’t been it is definitely worth coming up for….